Teeth may become loose and unstable due to several factors including severe bone loss, gum recession, trama, drifting teeth and tramatic occlusion (heavy biting forces). 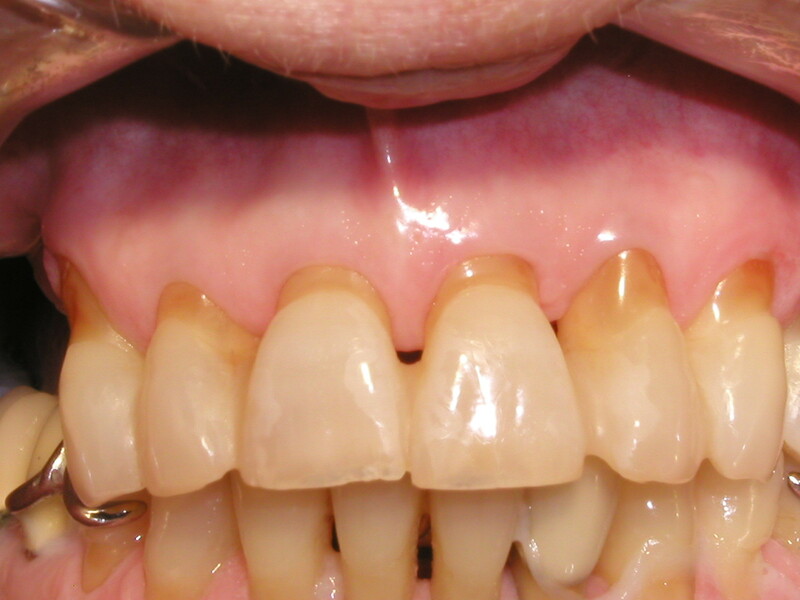 Several treatment options exist to stabilize weak periodontally involved teeth. 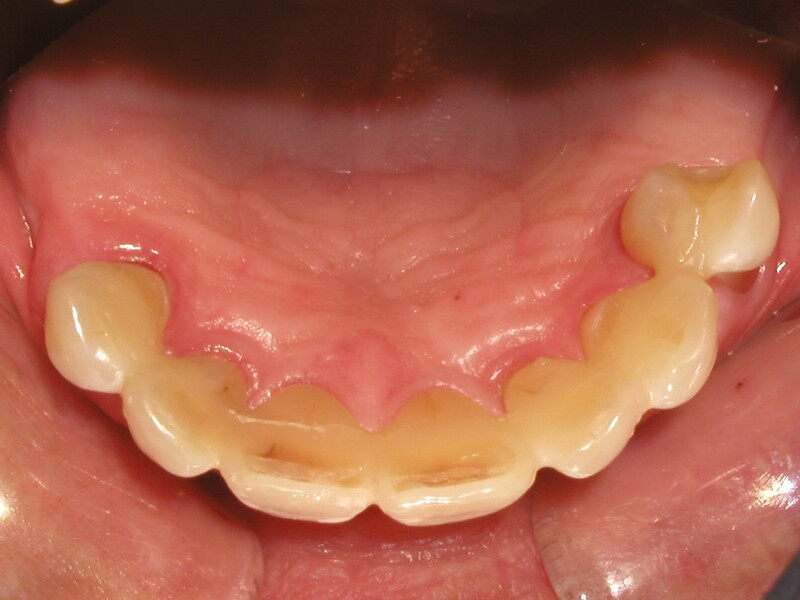 These include Intracoronal splinting, Extracoronal splinting, and splinting with connecting crowns. 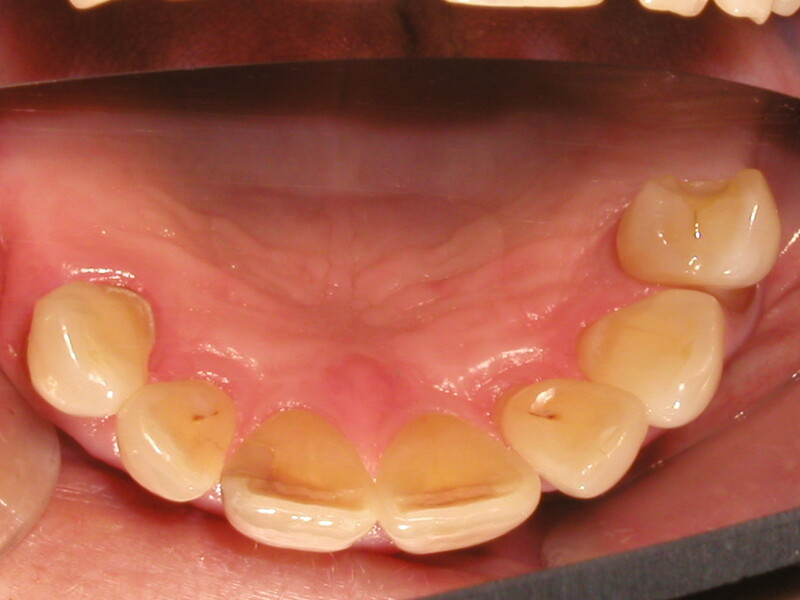 Intracoronal splinting is a semi permanent procedure involving preparing a channel inside the teeth and filling the connecting channels with a "kevlar like" white ribbon (Ribbond) or a wire. Then, a white composite filling is placed into the channel preparation, covering the Ribbond or wire. Afterwards, the bite (occlusion) needs to be checked and adjusted, so that all the teeth hit with equal force. Extracoronal splinting is a completely reversible procedure. 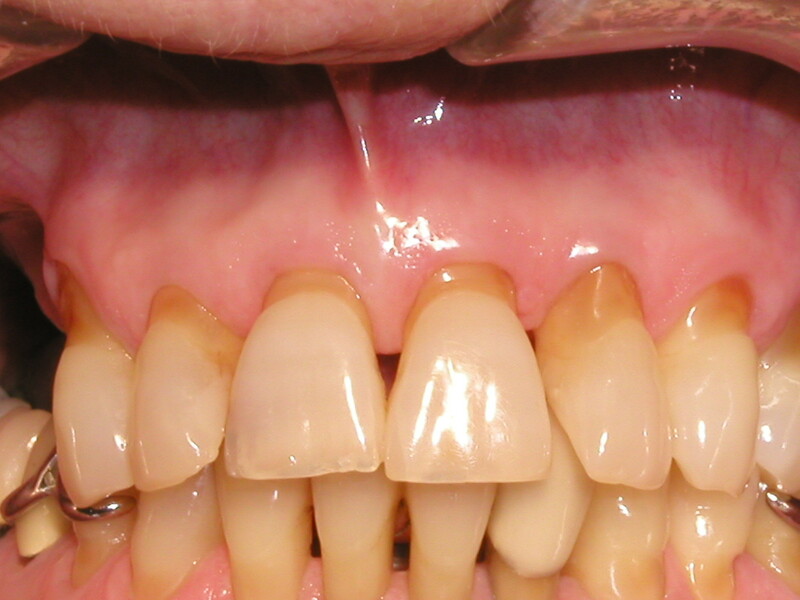 The weak teeth are connected with a bonded white composite filling material on the outside of the teeth. Sometimes, a wire, metal plate or Ribbond is encorporated with the bonded filling material on the outside of the teeth for additional support. This type of splint usually does not last as long as an Intracoronal Splint and is subject to fracture more readily. It is usually used for a more short term need. Connecting crowns are done by your general Dentist and involves complete tooth preparation, impressions and laboratory fabricated porcelain/metal crowns (connected together) that are cemented on the weak teeth.